Helping Henry defeat Bendy and escape the beguilingly creepy Joey Drew Studios isn’t going to be easy. Bring the guest off the screen with this Bendy and the Ink Machine Piper Pop! Vinyl Figure #389! Packaged in a window display box, it measures approximately 3 3/4-inches tall. Funko,Bendy and the Ink Machine,Pop! Vinyl Figures,Helping Henry defeat Bendy and escape the beguilingly creepy Joey Drew Studios isn’t going to be easy. 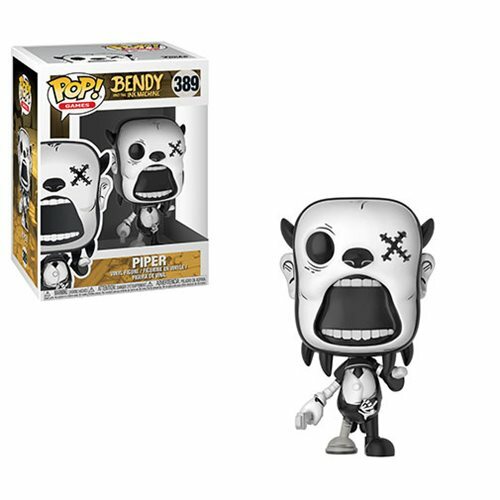 Bring the guest off the screen with this Bendy and the Ink Machine Piper Pop! Vinyl Figure #389!